Mike, 36, has served nearly three months of his eight-month prison sentence, and according to his Jersey Shore co-star Nicole "Snooki" Polizzi, he's enjoying his time behind bars, E! News reported. "[Mike is] having the time of his life," Nicole, 31, told E! News on Tuesday. "We all talk to him through an email, so I talk to him, like, once a week." Mike surrendered to the Otisville Federal Correctional Institution in upstate New York in January 2019. At the time, Mike maintained a positive attitude and told fans on Instagram Live, "The comeback is always greater than the setback." "It's like he's in a senior home. He's playing bingo, he's helping people recover," Nicole explained to E! News. "He's in the gym a lot, so he's probably gonna come out ripped. You know, he's not gonna be BDS anymore -- Big Daddy Sitch. He's gonna have his, probably, six-pack again... He's doing good in there." Mike was sentenced to eight months in prison and two years of supervised release in October 2018, plus 500 hours of community service and thousands of dollars in fines, according to People. 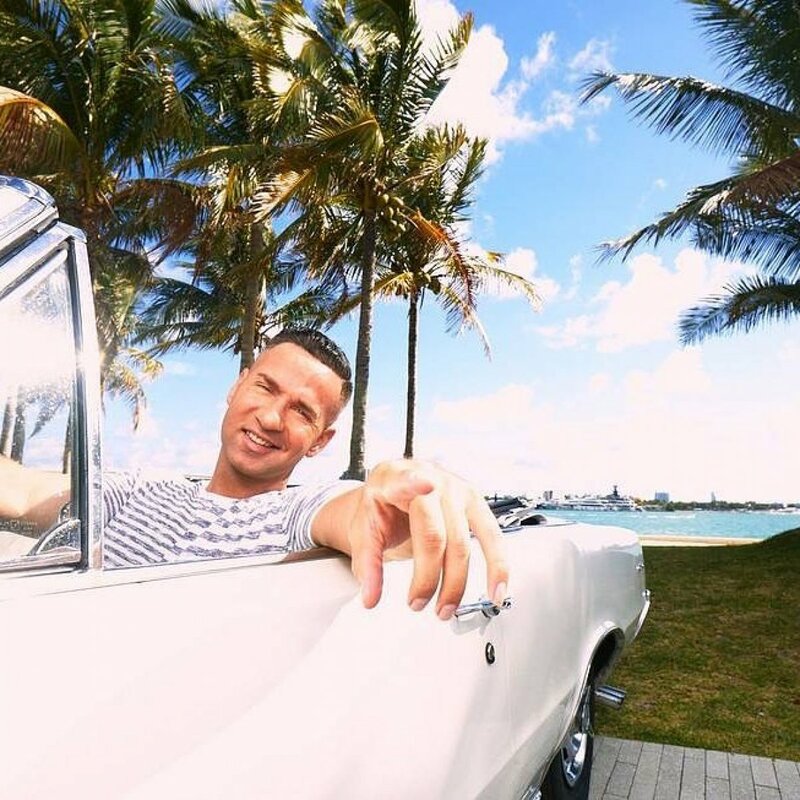 The Jersey Shore: Family Vacation star pleaded guilty in January 2018 to one count of tax evasion, and his brother Marc Sorrentino reportedly pleaded guilty to one count of aiding in the preparation of a false and fraudulent tax return. The brothers were indicted in September 2014 for tax offenses and conspiring to defraud the United States after allegedly failing to properly pay taxes on $8.9 million in income from 2010 to 2012, People reported. More than two years following the initial indictment, Mike and Marc were slapped with additional charges -- including falsifying records, tax evasion and structuring. Mike, who previously battled an addiction to prescription painkillers but has been sober for over three years, starred on Jersey Shore until the original series wrapped in 2012. He then starred on MTV's revival of the series, Jersey Shore: Family Vacation. Mike is reportedly set to be released from prison on September 13, 2019.